Manufacturers in the food industry provide vegetable oil production for end consumers, grocery stores, retailers, and commercial restaurant businesses to be used for cooking and baking applications. Once the vegetable oils are made, the products need to be shipped efficiently to end destinations without spillage or breakage. Here at PACK’R, we provide vegetable oil filling and capping machines for vegetable oil manufacturers to complete their supply chain processes. Whether you are filling small glass containers or large plastic jugs, efficiently package and ship vegetable oil products with confidence when using PACK’R filling equipment. Our vegetable oil filling and capping machines handle a range of containers and capacities to accommodate production line specifications. Our equipment handles capacity sizes of 500ml up to 1,000L containers. We have experienced and dedicated engineers and designers who provide turn-key solutions when you simply require a piece of equipment to place in your operations immediately. Our company can also design a custom vegetable oil filling machine based on your production requirements. Improve your process efficiency and minimize waste thanks to the equipment possibilities offered through our company. We can provide a standalone vegetable oil filling machine, or a filling and capping system depending on the layout of your vegetable oil production and packaging processes. A major problem that manufacturers face is filling bottles, jugs and containers with too much or too little of their liquid products due to not having dedicated and reliable filling machines. Overfilling containers leads to spillage and giving away too much of your product for free. Underfilling containers can create issues with customers who feel deceived that they are not receiving the stated amount of product for the advertised price. Another problem you may face is becoming dependent on old legacy machines that simply can’t handle increased production schedules. You need to retrofit existing equipment with newer technology innovations to stay competitive and meet deadlines. PACK’R vegetable oil filling and capping machines provide weight-based technologies to ensure greater accuracy. In addition, we provide machines that are ultra-configurable based on production processes that allow for more flexibility when making changeovers to different containers. Whether you require a step-by-step filler capper, a compact filler capper, a monobloc filler capper or several stations with different machine configurations, we have the design solutions to optimize both your production output while fitting into your facility floor space layout. Increase production capabilities, eliminate waste and improve operations to bring in more revenue by investing in filling and capping machines provided by PACK’R. 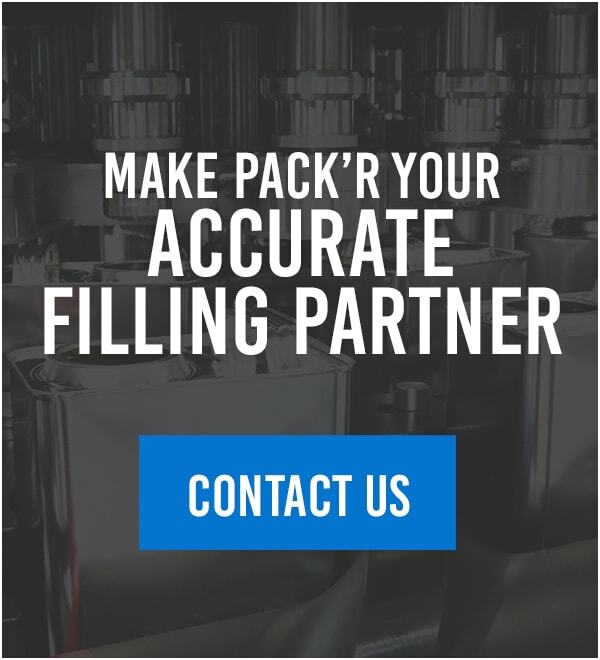 We are your liquid filling solution specialists with over 30 years of experience in the industry. Our high-quality machines, design and technology capabilities, and support services will help position your manufacturing company as a competitive force in your industry market. Contact our design specialists to get started.